This weekend, I'm teaching again at an advanced year-long Shiatsu Program in Chicago run by Michael DeAgro. This is exciting stuff, I get to translate ideas about bodywork into movement training and personal practice. The conversations, the depth of knowledge, the spontaneous interactions, and the experience base of the students, is inspiring. I teach the mornings of July 10th, 11th, and 12th. If anyone in the Chicago area would like to meet with me for a chat or for a private lesson in the afternoon of one of those days, please send me a message. This wood goat year is exciting. I'm finishing up two papers for publication, and working on another to be delivered at the Martial Arts Studies Conference in Cardiff, UK. My book, about the possible origins of Chinese martial arts is at a professional editor now. Portland Shaolin Center, Oregon, May 16th-17th, probably available for private lessons, and jams on that Friday and Monday. Cardiff, UK. 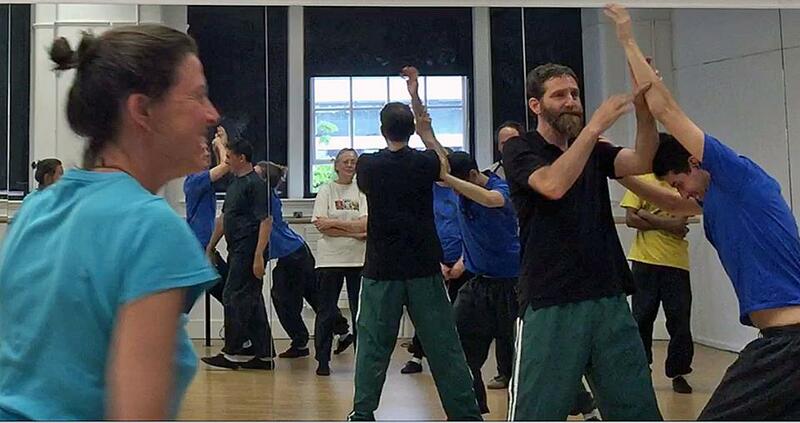 I'm delivering a paper called Shaking Thunder Hands: Where Martial and Performing Arts Meet in India and China, and I'll be in Cardiff from June 9th-12th, available for private lessons and meet-ups. Amsterdam, teaching with Alex Boyd, Inner Workings of Chinese and Indian Performance Practice. June 13th-14th. (we have a Facebook events page too.) I'll be there Monday and Tuesday for meet-ups. Kings Cross, London, UK. Again teaching with Alex Boyd. The Energy of Performance Practice: Ways of Moving and Being from the East June 22-26th. So many people in Europe and the UK over the last 8 years I've been writing this blog have asked to meet me. I didn't keep a list. I will search around in my emails and comment lists before I go, but if you want to meet me, or bring me in for a workshop, please reach out again. Also, do come to Boulder Colorado for a few days or weeks to study with me, hike or try the beer, things are pretty great here. I've had a steady stream of visitors! If this keeps growing I'll be running a year-round retreat center. I'm also floating the idea of hosting George Xu in Boulder in the Fall of this year, 2015. I'm headed out to teach in Chicago and then Traverse City for 10 days, if anyone wants to try and meet me, send an email. This post is just a quick follow up on the previous post: Performative. There has long been an injunction against studying more than one martial arts style at a time. The common explanation is that styles will conflict and the student will end up with a mixed style that doesn't represent either style well. Let me put aside the problem that the student might be just a dabbler, of course if you want to learn real gongfu (kungfu) you have to dedicated hours everyday. This discussion is for and about serious students of the arts. In the dance world, students dedicate every day to dance. But in the dance world the problem is exactly the opposite of the martial arts world. People who learn many dance styles are versatile and adaptive. The people who have exclusively studied one style tend to find it harder to dance in other styles. The most notorious example is classically trained ballet dancers who find it hard to do african dance, they end up looking stiff. And on the other end there are dancers who do everything with too much flow. I'm not a fan of the TV show "So You Think You Can Dance," by the way, because they make this claim that the dancers are doing a wide variety of dances, but in reality I see ballet and some "poppie" hip-hop moves in almost every dance. It should be called, "So You Think You Know What Dance is Because You Watch It On TV?" Anyway back to martial arts. The reason some serious students end up blending their arts together is because they think of the different arts in terms of how each art generates power. So in practice they end up using one style's ideas about how to generate power in the techniques of another style. This problem does not come up if the teacher uses the concept of Performative Arts that I outlined in the previous post. A given art is performed a specific way. The same way a dance has a specific quality and character. Each martial art has a performance standard, that is what you are learning. Using martial arts to learn power generation is a mistake. That should be an after thought. Rory Miller claims to be able to improve most people's power generation in a two day workshop whether they have ten years of experience or ten days. It simply isn't very difficult to develop power. I would also argue that the unique types of power any particular style has are entirely accessible through the performative aspects of the art. In the end what have you got? Gravity, structure, unity of mass, and momentum. No matter how tricky you get, it is always going to come back to these four.